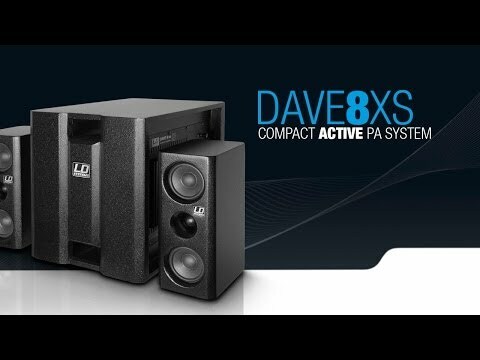 The new LD Systems DAVE 8XS is a portable 2.1 multimedia system with a high-performance 8" band pass subwoofer (150 W RMS) and two satellites (each 4" + 1", 100 W, with silk dome). bars and cafés. The high-performance A/B amplifier built into the subwoofer provides for both the subwoofer and the satellites. The multimedia system LD DAVE 8XS has line inputs in XLR and RCA format and is equipped with all standard protections.